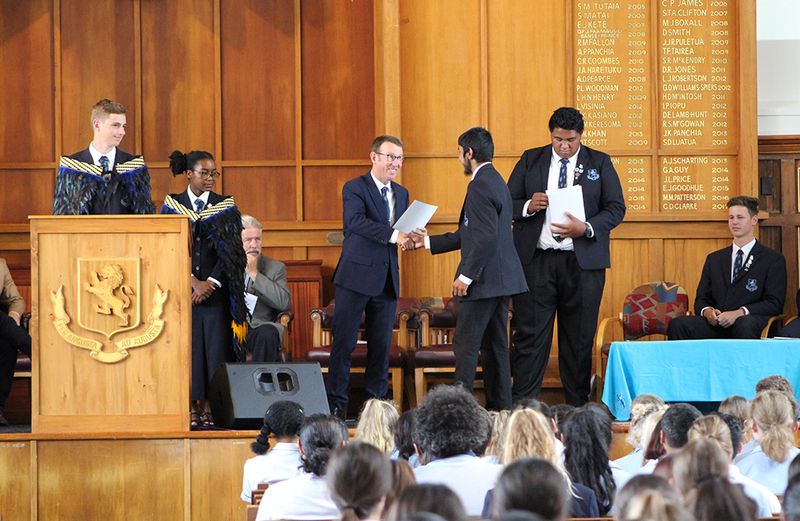 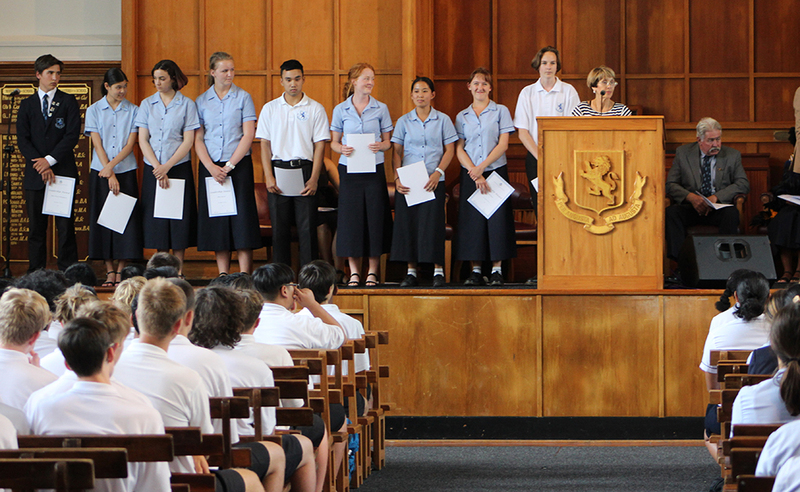 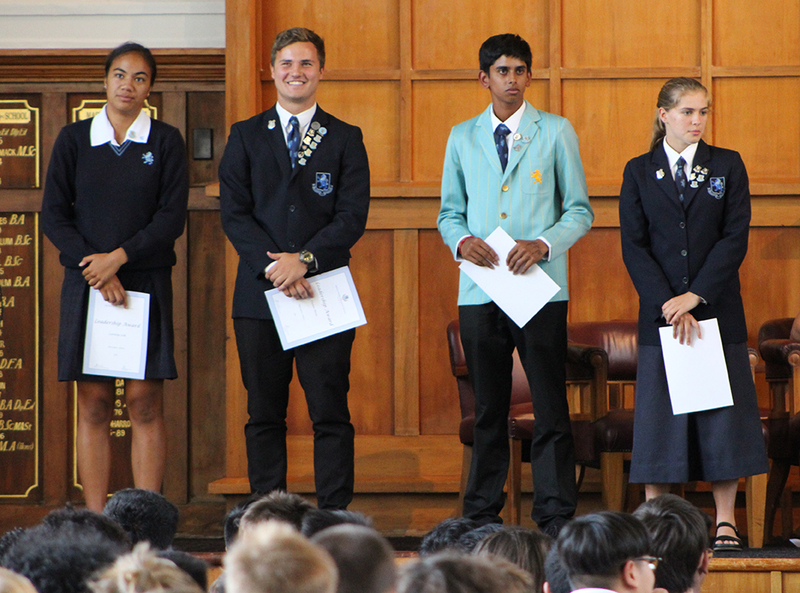 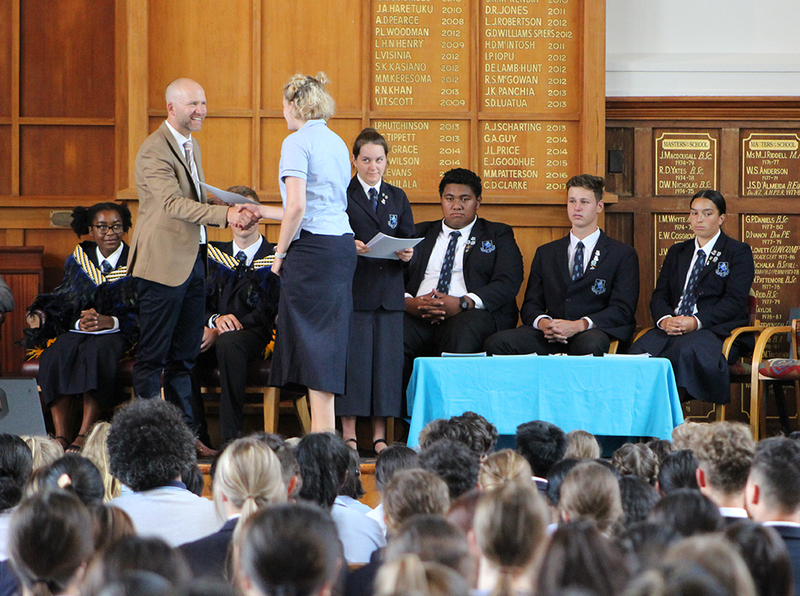 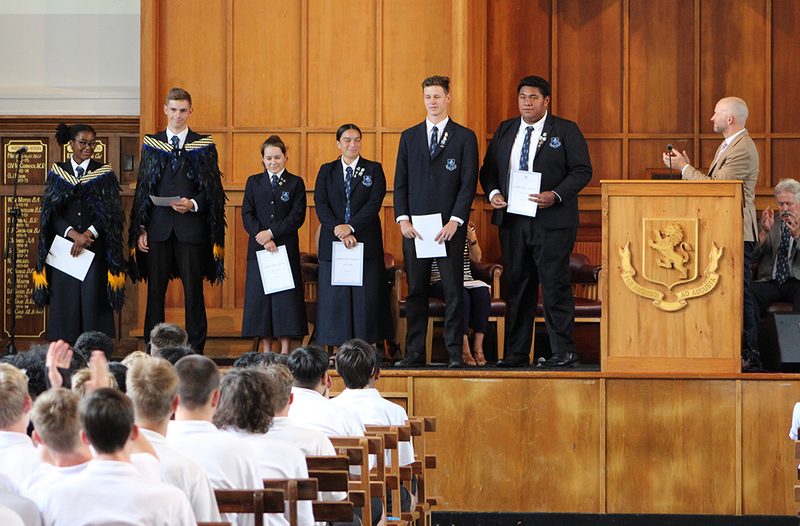 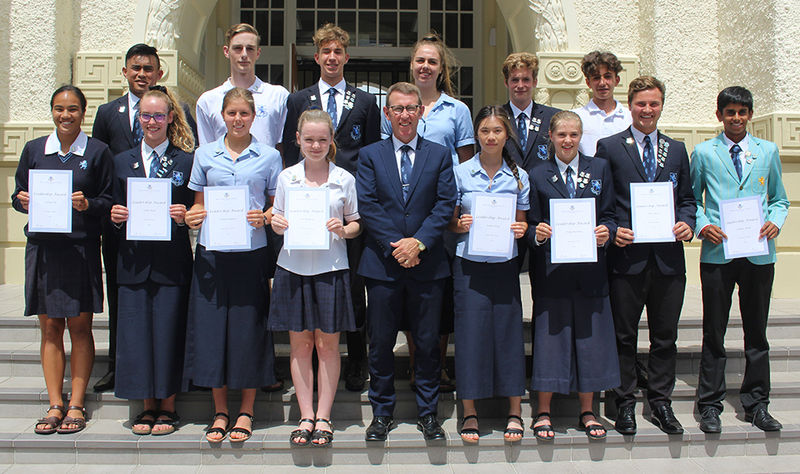 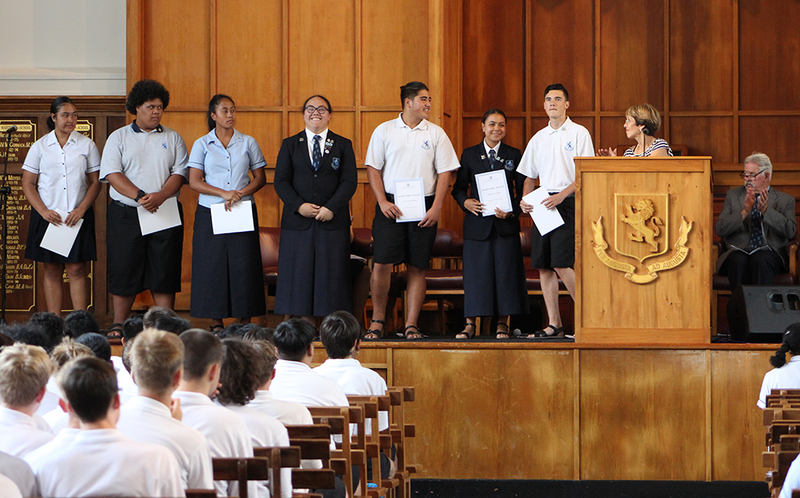 At today’s Senior Leadership Assembly, the school’s Prefects, Arts Leaders, Cultural Leaders and Summer Sports Leaders for 2019 were recognised and presented with badges and certificates. 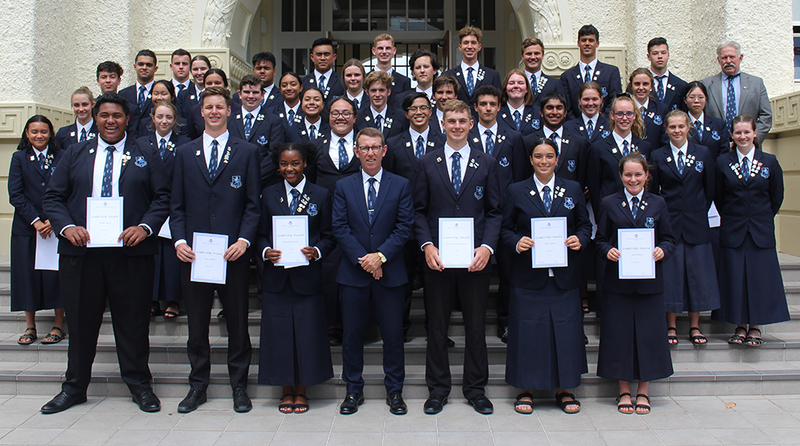 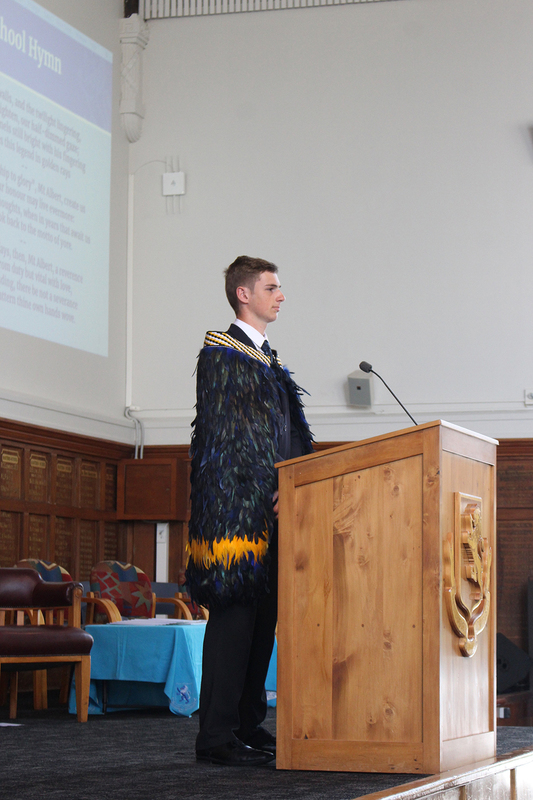 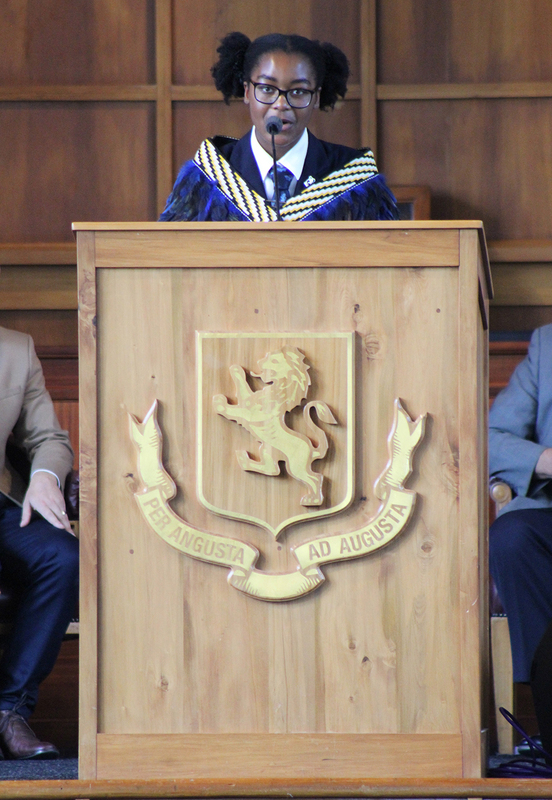 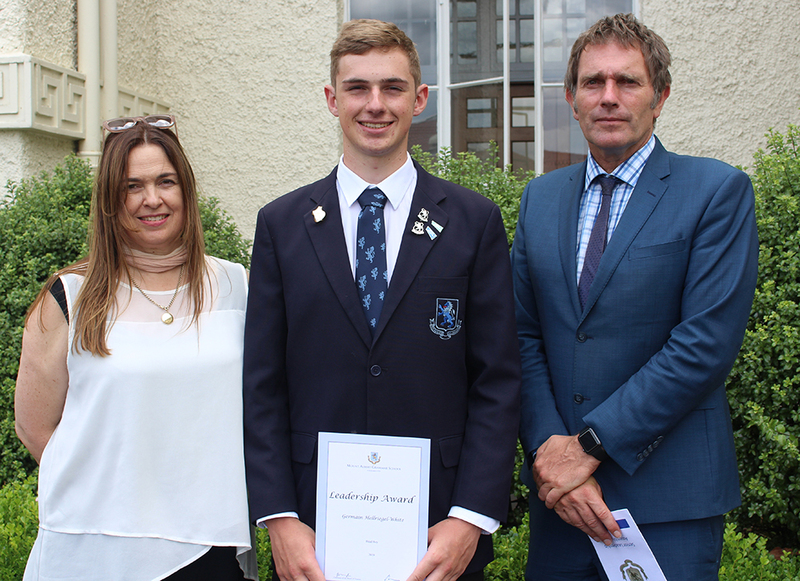 Headmaster Patrick Drumm said this was recognition of their potential but the year ahead was where they would prove themselves through their own success but, more importantly, by helping others to succeed. 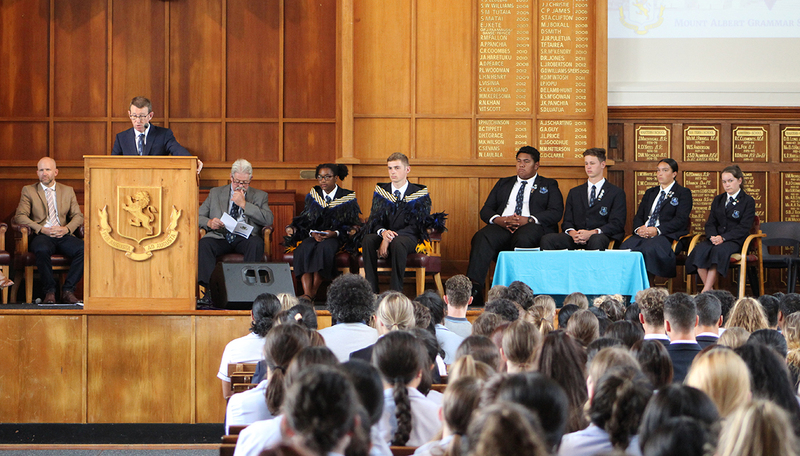 After the School Hymn, which began the ceremony, Head Boy Germain Hellriegel-White read the school prayer, while at the end of the ceremony Head Girl Takunda Muzondiwa made the concluding remarks, echoing Mr Drumm’s sentiments by saying all the leaders would be measured by the success of those around them and their ability to create a new generation of leaders. 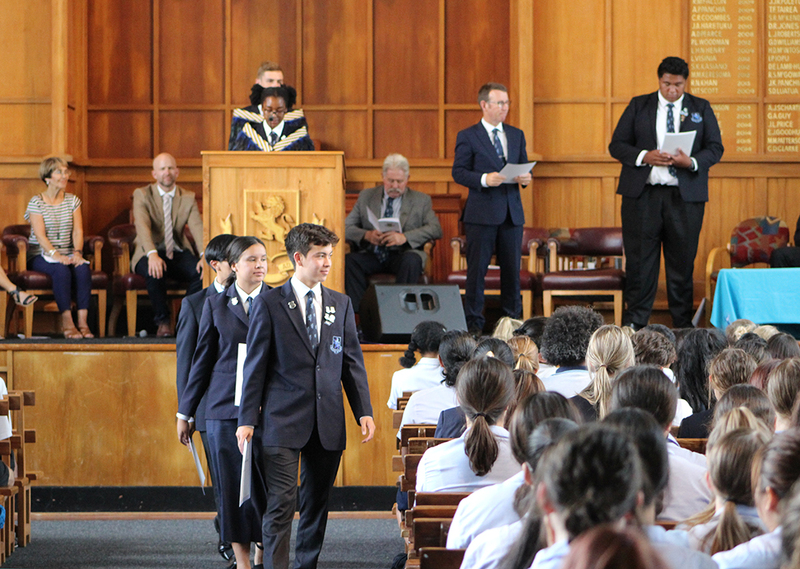 During the ceremony, Lo Ta Nu’u, a traditional Samoan song was performed by Tali Afele, Samuela Gabriel and Sina Gabriel. 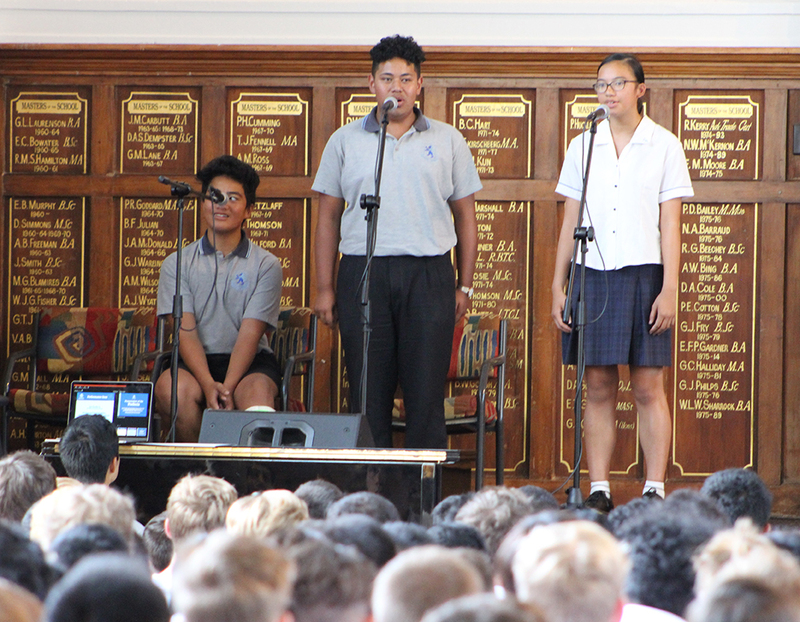 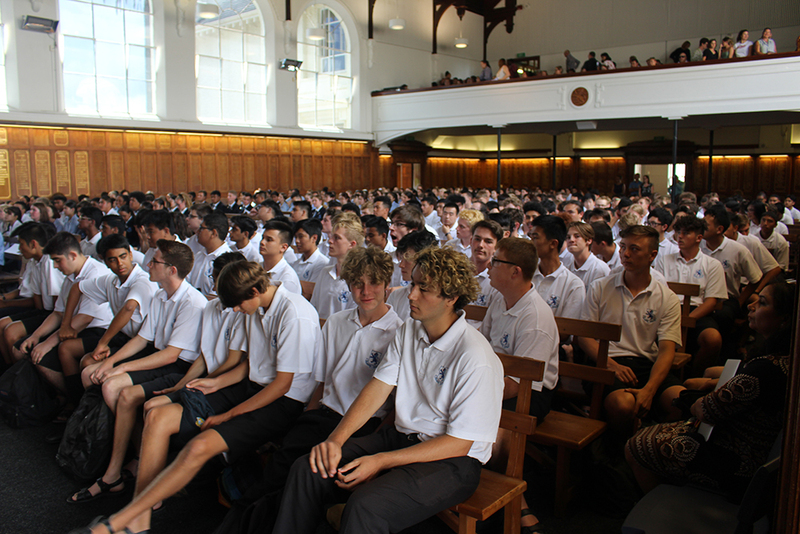 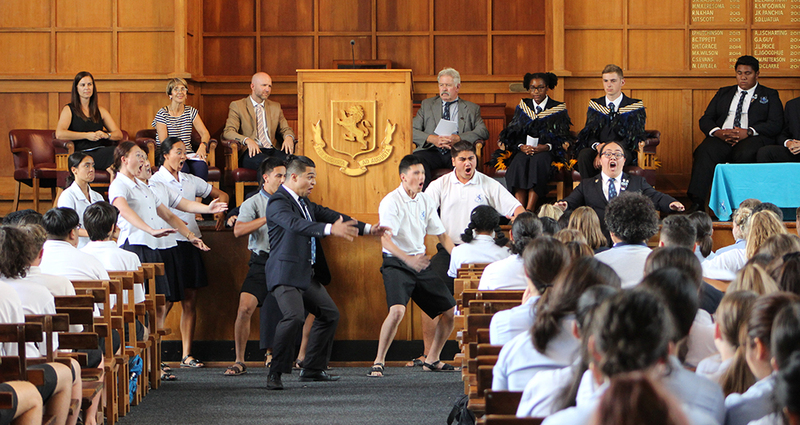 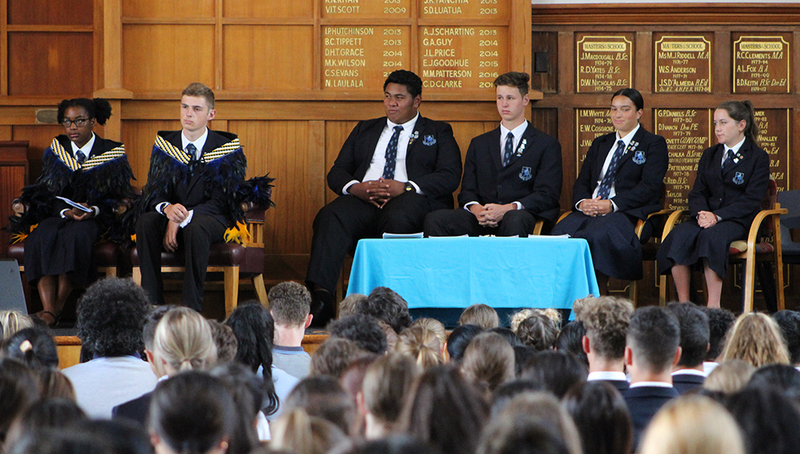 Senior Te Puna students also performed a haka for their peers. 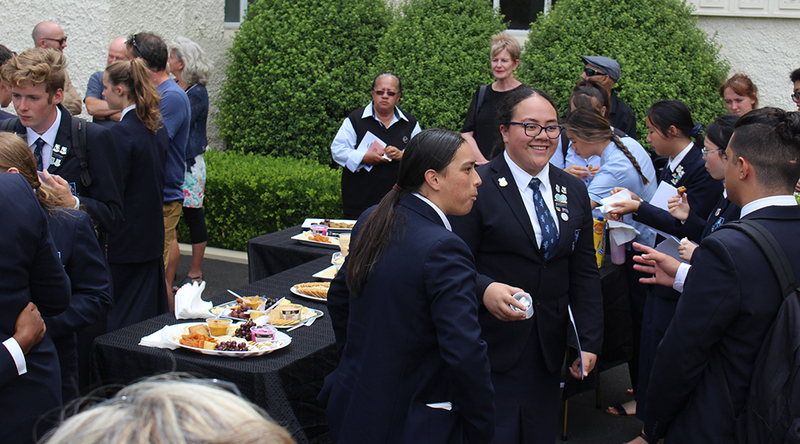 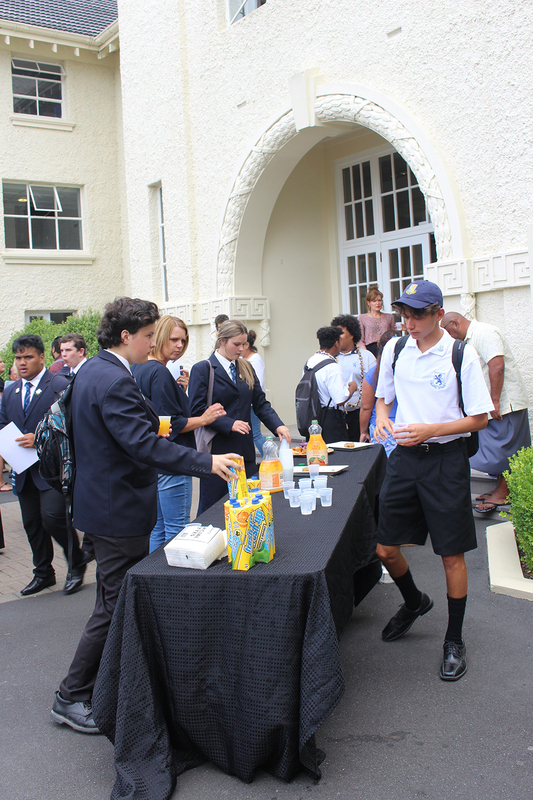 At the conclusion of the ceremony, parents were invited to join their children and staff for afternoon tea in the Albertian Quad.